Comfortable, spacious cottage - a relaxing base for an enjoyable Hawkes Bay stay for a single person, a couple, a family or friends. on the edge of Hastings - so Splash Planet, shops, Sports Park, Farmers Market, and cafes are all just a couple of minutes away, and only 15 minutes to Napier. Three double bedrooms and two full bathrooms: one with a bath and a bay window overlooking a private garden, the other has a shower and washing machine. The open plan lounge - dining - kitchen has a lovely view over the garden and paddock to the apple orchard The kitchen is fully equipped and has a full sized fridge, dishwasher, eye level oven, ceramic top stove and a microwave. After watching the sunrise while enjoying breakfast on the patio (or at the dining table) you can go for a walk or explore the numerous wineries and restaurants in every direction, visit Splash Planet, go shopping, go cycling on cycle trail, take a walk or simply relax in the comfortable lounge suite and enjoy country peace. Animal lovers can take play with Roxy our gentle dog. Horse riding for children can often be arranged. An air conditioner/ heat pump will ensure you are comfortable regardless of the weather. Guests are welcome to cool off in our pool on hot days. Whether you are visiting Hawke's Bay for business or pleasure you will leave feeling relaxed and refreshed and looking forward to your next visit. **Special rates for longer stays - please ask in "comments"
Ideal for business trips or when relocating to Hawkes Bay as well as holidays. *You can bring your horse with you on holiday ! Just what we were looking for and highly recommended. Great trip away, lovely property in a quiet location. Great communication with owners, also very friendly and helpful when we arrived. Happy to recommend. We are glad you enjoyed your stay - we enjoyed hosting you! We had a wonderful stay at Dewdrop Cottage. It is clean, cozy and comfortable, a real home away from home. Fabulous hosts who let our daughter ride one of their horses. We will definitely be back. We loved having your family stay and appreciate you leaving the cottage so clean and tidy. We look forward to your next visit. The cottage is lovely and in a beautiful setting. Wendy is a great host. Our children enjoyed the horses and dogs etc. Lovely place to stay, especially if you have children. Very close to everything. Wendy and John were very friendly and made us all feel right at home. 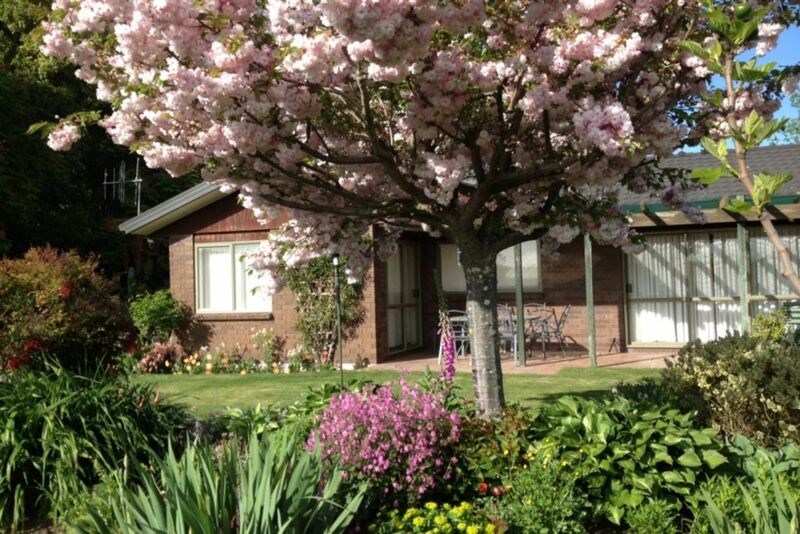 Wendy and John are wonderful hosts and Dewdrop Cottage is the perfect base for a holiday in Hawke’s Bay. We loved the views over the flowers to the paddocks, feeding the horses, the strong water pressure and the genuinely friendly hosts who live about 50 metres away in a separate house on the same property. The kitchen is well equipped and the linen is high quality. We are a family of 4 and stayed 10 nights and would definitely stay again!